I'm not sure why the combination of lemon + chocolate doesn't get as much attention as some other chocolate marriages. It's one that I fell in love with a few years ago when reading a novel called The Particular Sadness of Lemon Cake. Not that you asked, but I hated that book with a passion, and I don't recommend it (and am not even going to link to it), but was ultimately thankful to have read it because it got me in the kitchen playing around with chocolate-frosted lemon cake recipes, and that was a very good thing indeed. It's a surprising mix, that bright tartness of lemon with the deep, sensual bitterness of chocolate. It's two sharp, bold flavors crashing together in a beautifully challenging way. I get that it may not be for everyone, but it definitely is for me. 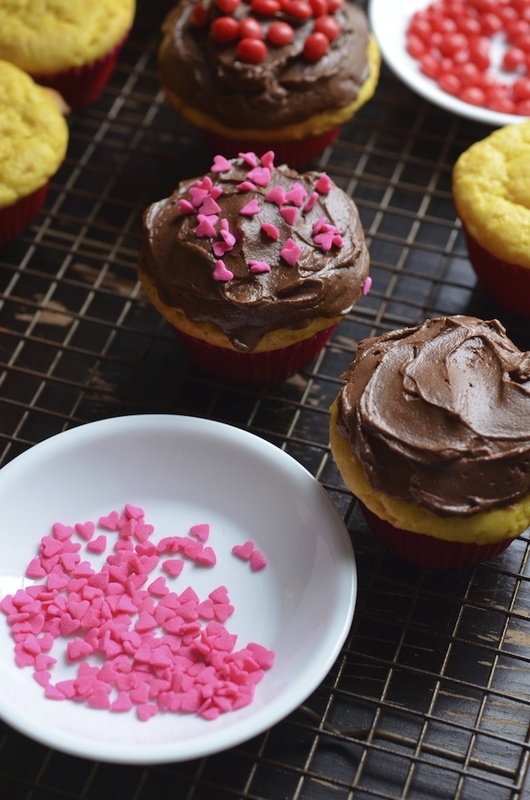 It's what I had in mind when I made these Lemon Curd Cupcakes with Whipped Chocolate Frosting. I wanted to do something for Valentine's Day, but I was tired of the usual flavors. Chocolate, red velvet, strawberries...all classics, yes, but honestly? So if you're looking for something a little bit different or more exciting--for the holiday or any other day--give this combination a try. The cake gets it's flavor and color from lemon curd baked right into the batter. I made my own, but you can easily buy it. It's what I would have done had I not been in a bit of a curd-making binge last week. It's not swirled or dolloped in, instead it's just stirred right into the batter, making it extra moist and rich. 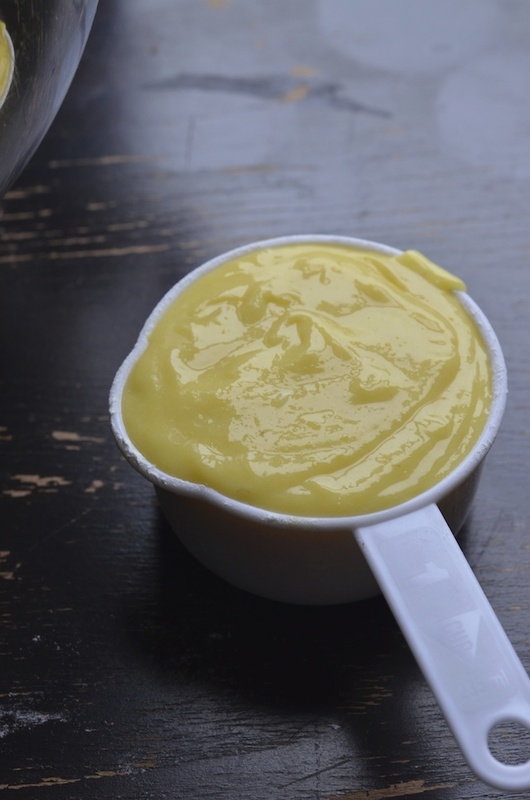 When choosing a lemon curd, go for an opaque buttery one. Check the ingredients on the label and make sure it's just things like like eggs, butter, lemon juice, and sugar. Skip the ones with cornstarch or weird additives. You want something that tastes tart, not eggy. 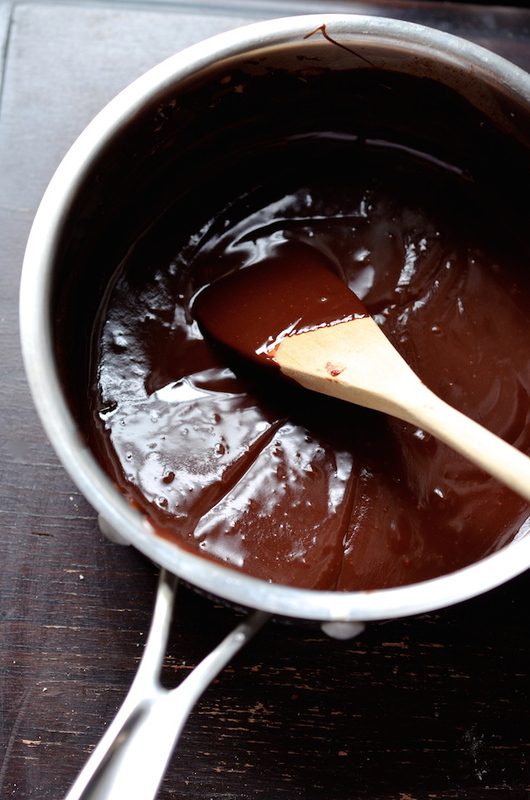 For our frosting, we're doing a basic whipped ganache. It's just heavy cream, dark chocolate, and a bit of salt, heated until glossy, then cooled and whipped into fluffy bittersweet submission. 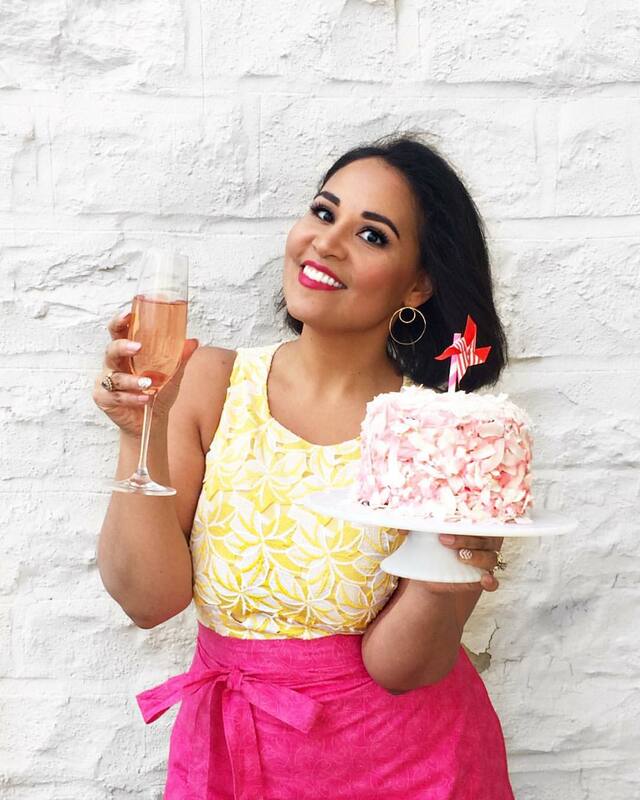 This isn't your usual buttercream, kids. I added a few heart sprinkles and used red liners because I'm not totally contrarian. Skip them if you are. Preheat oven to 350 degrees. Line a 12-cup cupcake pan with paper liners. Cream butter and sugar in an electric mixer 3 minutes. Add the eggs, one at a time, until light and fluffy. Stir in the lemon curd and zest. In a separate bowl, whisk together flour, baking powder, and kosher salt. Gently stir into batter, just until completely incorporated. 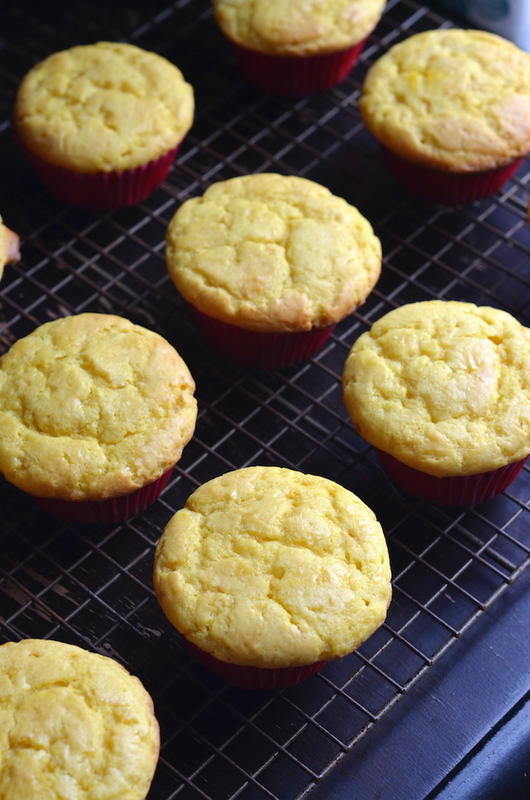 Divide batter into cupcake pans and bake 20-25 minutes, or until a tester inserted in center comes out clean. Remove from pan and let cool completely on a rack. Make the frosting: combine cream, chocolate chips, and salt in a saucepan over medium-low heat, stirring continuously until smooth and silk. Remove from heat and let cool completely to room temperature. Transfer to an electric mixer, and whip until light and fluffy and doubled in volume (about 2-3 minutes). Frost cooled cupcakes and decorate as desired.